When you are looking for an eclectic bunch of restaurants that presents an interesting mix of Midwestern and southern fair, Louisville, KY is the place to be. Nestled comfortably along the Ohio River, this city boasts access to homegrown, top-quality ingredients that attract top chefs and foodies alike. That's why at Dean Supply, we are committed to being the premier Louisville restaurant supply store. With thousands of items in stock, we guarantee we will do everything we can to get your professional cookware, bulk dinnerware, bar tools, disposable takeout containers, and all of your kitchen supplies shipped out as efficiently as possible. The proximity of our Cleveland warehouse paired with our superior customer service, we can provide the best service around! Plus, we are open to the public and offer small and bulk purchases, so whether you need a little or a lot, we have you covered. Wondering where to buy commercial kitchen equipment near Louisville, KY? ShopAtDean.com has a wide selection of commercial ranges, reach-ins, bar coolers, chef stands, conveyor toasters, professional bar blenders and much more from top brands like Vulcan, Adcraft, and Vollrath. You can outfit your bar, restaurant, food truck, cafe or bistro with trustworthy equipment without breaking the bank! From top to bottom, we can outfit you with the right tools to keep your customers coming back time and time again. Whether you are opening a new restaurant in Louisville, KY or you are looking to refresh some of your current commercial equipment items and supplies, we have the ultimate resource for you: The Dean Supply Reference Guide. This is a comprehensive guide that will take you through the top trends and innovative products that will help you work at your most efficient. With a little inspiration and creative, you can take your Louisville, Kentucky foodservice establishment to the next level. 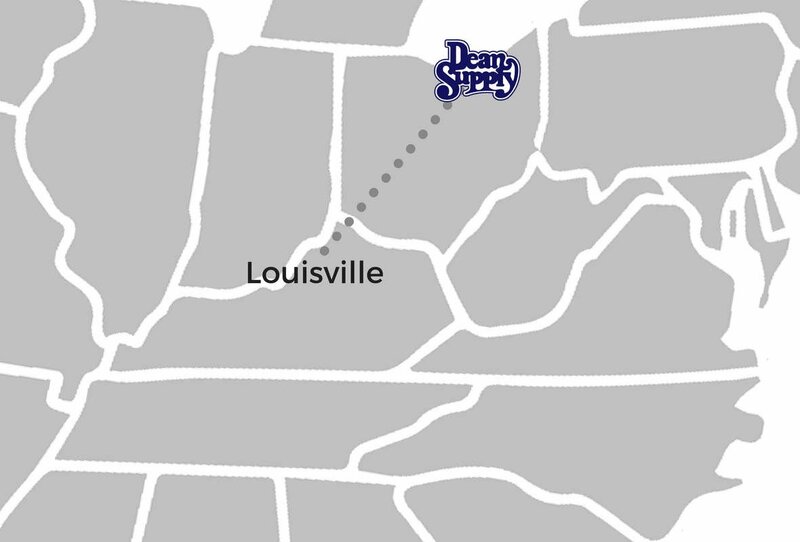 Lucky for you, Dean Supply is here to help every step of the way!